I've been waiting (not very patiently I might add) to share this dream come true of a styled shoot with you and I'm so excited to finally show off the incredibly creative team that came together at the Accelerator Space! Ever since I stepped foot inside, I knew it would be an amazing space to capture - I couldn't be more excited for all of the newly engaged couples that will find themselves getting married here! Here's a quick sneak peek for now... all of the details will be coming soon in future posts, with featured vendor spotlights so you can learn more about what makes these fabulous professionals so passionate about the work they do. Speaking of passionate entrepreneurs, if you like delicious food, don't miss out on the goodness that is found just beneath the Accelerator Space: B-More Kitchen. Baltimore's food incubator is just as inspiring! See more from my time with the chefs, here and here. 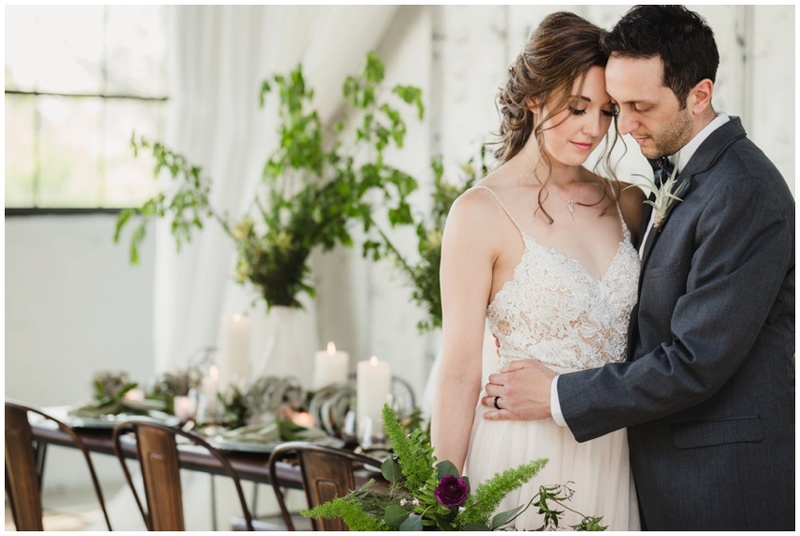 The inspiration for this shoot came from the idea of contrasting the history and character of the previous life of the Accelerator Space as a car dealership/warehouse (mixed metals, glass, bold, clean lines) with a variety of lush, geometric greenery to balance the mixed metal elements and celebrate a late springtime love. Because if there's one thing I can't get enough of, it's a combination of texture, greenery and soft romantic details!! fun fact: Anthony is my better half in many ways, but especially when it comes to styling details, tablescapes and hand modeling!! I'm not even joking one bit. Cheers to celebrating together in a space full of history, character, and loads of light... just like the story of the two of you.